Bill Anaya represents manufacturing, commercial, industrial and developer clients in a variety of environmental and governmental matters, drawing on three decades of experience in regulatory litigation. Bill Anaya’s practice focuses on environmental and administrative law, as well as commercial real estate. 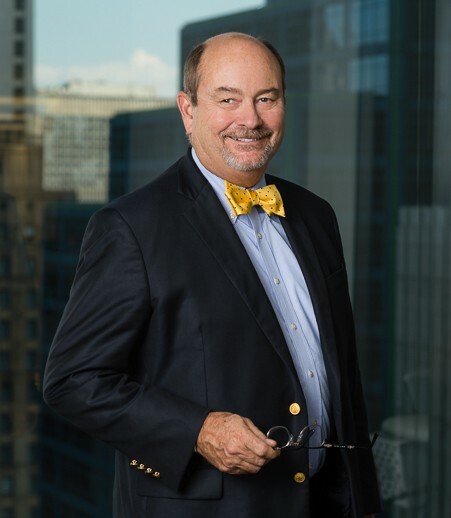 He has 30 years of experience in regulatory and liability litigation in state and federal courts across the nation, representing and advocating on behalf of manufacturing, commercial, industrial and developer clients. Bill has represented clients involved in enforcement actions initiated by federal and state regulatory agencies and state and federal attorneys general. Bill has represented individuals and entities in enforcement and transactional matters involving the EPA, FDA, federal and state transportation and public health departments, the Illinois Environmental Protection Agency and the Indiana Department of Environmental Management, among numerous other state and federal agencies. He has significant experience in civil and criminal administrative disputes and transactions involving regulatory approval, compliance and permits associated with state and federal law and regulatory requirements. Bill has taught administrative law principles at Loyola University School of Law and the John Marshall School of Law in Chicago. He frequently writes and speaks on topics related to environmental and real estate law, among other topics, and is an editor and author for Illinois Institute for Continuing Legal Education publications. "Well-rounded Environmental Lawyer Never Cuts Corners"
Interview with Bill Anaya, "Reducing Waste in the C&D Industry"
Interview with Bill Anaya, "World’s Largest Purchaser Wants Its Suppliers to Disclose, Reduce GHG Emissions"
Interview with William Anaya, "Fracking: In apparent first, family gets courtroom victory in health case"
"Clean Water Act – Water Jurisdiction"
"Case Law and Statutory Update" and "What Color Is Your Commercial Contract?" “Environmental Due Diligence in Commercial Transactions"